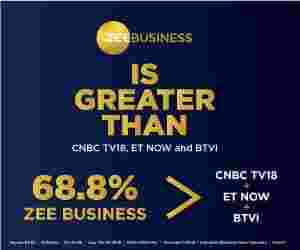 Shekhar Bajaj, Chairman & Managing Director, Bajaj Electricals Ltd., in an interview with Zee Business, says, fan and coolers will have a positive impact on our business in the summers, which are going to be a long one this year. Q: Your expectation from the coming summers? Will the pattern of global warming, that has delayed summers, will have any impact on your business? A: Winters has stretched itself a bit and summers are going to be a little long one this time. Long summers will help in increasing the sales of fans and coolers. In fact, our dealers and distributors have stocked products with a hope that the market will perform well as there will be a surge in demand. Q: Do you think that government initiatives like doubling the farm income by FY22 and tax incentives, which were announced in the interim budget, will have an impact on consumption? A: We have expanded our distribution system in the last 3-4 years and today we are distributing our products in about 2 lakh outlets in the rural market. In fact, we have our presence in 600 districts out of 621 districts of the country. In the past, the rural population didn’t have a habit of spending their farm earnings but there is a change in the scene as the young/new generation is demanding consumer durable products, for instance, they want to have Pizza and drink milkshake. Therefore, I feel that maximum demand and growth will come from the rural market and we will be the best in terms of distribution of small appliances and fans. Q: Price hike of around 2-3 per cent was seen in the third quarter. Do you have headroom for fresh hikes or the prices will remain at these levels only? A: Mostly, we try to delay price hikes, but have to go for it in inevitable conditions. I don’t think that there is any need for a price hike now, at least when the commodity prices haven’t reached a peak level to date. However, you can see a slight increase in certain products. Q: Q3 top line was benefitted by the Engineering, procurement and construction (EPC) segment had a contribution in third quarter’s top line. However, election dates have been announced and the street is expecting that the payments will be delayed. Will Q4 numbers will be impacted by the delay? A: We have large orders in the EPC segment and will execute it. As you were saying said that there can be some delays in payment, but no execution of the project will increase our losses. Delay in payments may lead to financial losses and some tightness can be seen in cash flow. But, non-execution of the received orders is not a solution as we will have to execute it in the future. Thus, its execution at the earliest maybe by March 31, 2019, is a good idea. So, I think that we can see substantial growth, as we saw in the third quarter, in the EPC segment in the fourth quarter as compared to last year. Q: Let us know about the order book that is available with Bajaj Electricals at present and the number of orders that will be closed by March 31? A: I don’t remember the exact number of orders that will be executed by March 31, 2019, but hope that we will be reached to the mark of Rs 4,000 crore in EPC segment this year as compared to last year’s Rs2,500. When it comes to consumer durables, then we will be able to reach to Rs2,800-2,900 crore when compared to last year’s Rs2,300 crore. Thus, we can grow by 20-25 per cent in consumer product and 50-60 per cent in EPC business. Q: Bajaj Electricals has a special focus on launching new products. So, name the segments where new products will be launched in the recent future? A: See, it is a season when certain products like fan and cooler can be high on demand. They will continue to be in demand in the next four months from here and that’s why we will be introducing a new model in the segment. We did the same with water heaters in the third quarter and it helped us to grow by 50 per cent in the third quarter. Similarly, we have launched products in fans as well as mixer grinder and you will be able to find its benefits in time to come. Q: What is your view on margins in this financial year and next fiscal? A: Let’s talk about the consumer durables and we will be able to post better margins than last year in the segment. I think that we will be able to grow by 20-25 per cent in the coming year. However, the fixed cost will not rise above 10-15 per cent. Actually, we lost a lot after adopting a new distribution policy as the sales didn’t go up but there was an increase in the fixed cost. It is reversing now and that’s why our EBITDA margin in consumer products will improve by 1 per cent every year. Thus, our margin will stand around 6 per cent this year and will go up to be around 8-10 per cent in the next 2-4 years. Q: What are your views on the export market? Also talk about the market like Gulf, Southeast Asa and Sri Lanka where you will have a focus? A: We have a target to take our export market to a mark of Rs100 crore this year, maybe we can breach Rs95 crore mark. Last year, we ended at Rs45 crore. Thus, our export market will grow by almost 100 per cent this year. I think that our export business will continue to grow by 50 per cent as export has a meagre contribution to our business to date. For instance, export has a contribution of just Rs100 crore to our turnover of Rs7,000, which translates to be just around 1.50 per cent. And, we want to increase this 1.50 per cent to at least 3-5 per cent in the next 3-4 years. That is why I am expecting good growth in exports. Besides, our prices have turned up to be competitive when compared to China. When it comes to market then we will be able to sell our products mainly in Africa, the Middle East and neighbouring countries like Sri Lanka and Myanmar. We are also eyeing on South America but will not be able to mark of presence in Europe and the United States in the next few years. However, they are going to be the biggest market for us in future.